mbos, multiple layers, a little glitter paper, button twine. Here’s a sample. I didn’t change this one up much. Just swapped out the stamped sentiment for the one I needed (from a retired set). This card was reversible. The other side had a patterned design on it for use with a different layout. You could leave that as the back of the card, or flip it around and have it be on the inside. 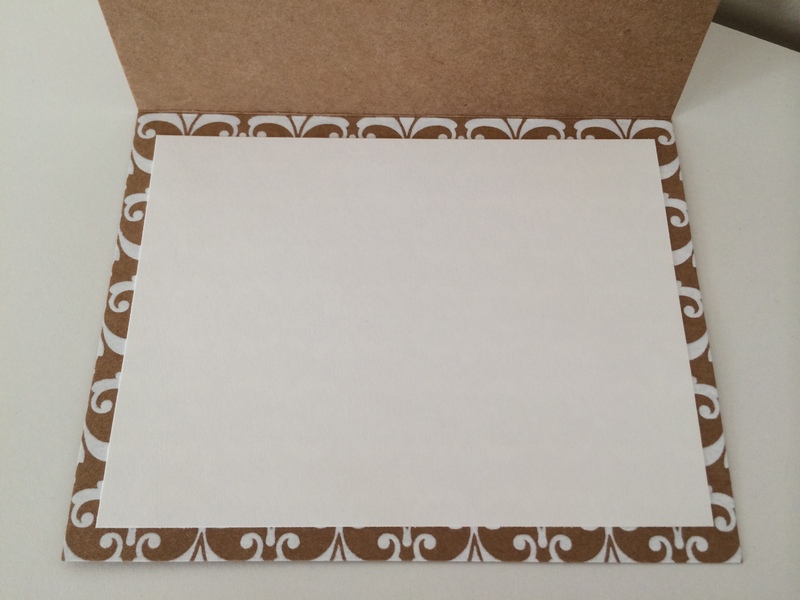 Add a piece of white card stock to write on.